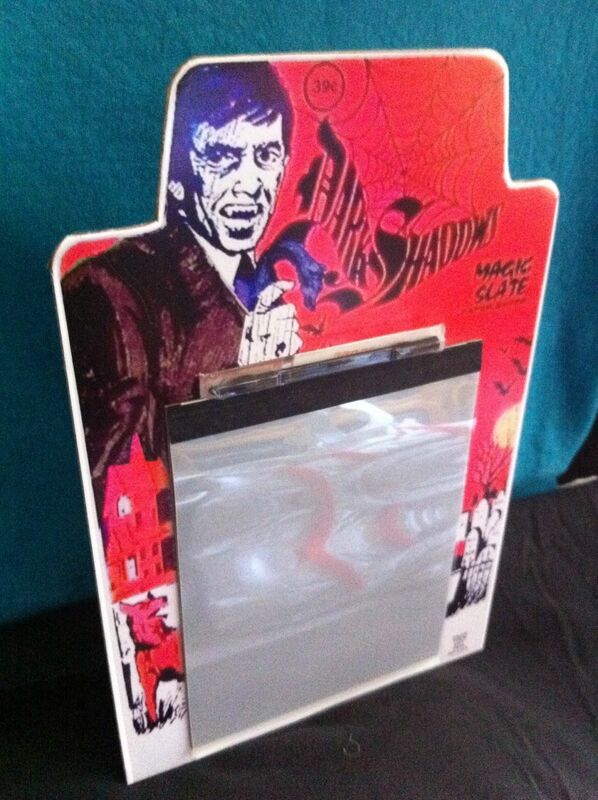 The Collinsport Historical Society: Ebay sale: The Dark Shadows "magic slate"
I've come to despise the DARK SHADOWS "magic slate" toy released during the late 1960s. I was never much of a fan of these kinds of toys even as a child ... if I wanted to draw, give me some paper and a pencil, please. Maybe I'll come up with something that won't make me want to immediately erase it. The limited play value of a magic slate really isn't what bothers me, though. Since 2009, one of these items has been for sale on Ebay for the low low price of $999. Magic slates are the definition of ephemera and are probably pretty rare, but there's no way these toys are worth that much ... not even if it was signed by Jonathan Frid, himself. The seller has updated the listing every blue moon, but the price has always remained the same, apparently in hope of reeling in a customer with more money than sense. Well, Player 2 has since entered the game. A seller with a decent feedback history now has one for sale for $28.99. I'm a little strapped for cash at the moment, but if you're interested in adding this item to you collection, you can find it HERE. The auction ends later today, so move fast.